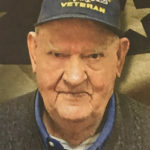 Edward “Ed” L. Libecki, 90, Brookfield, was called home to God Monday, October 29, 2018. The son of Chester and Agnes (Mischker) Libecki was born July 20, 1928. 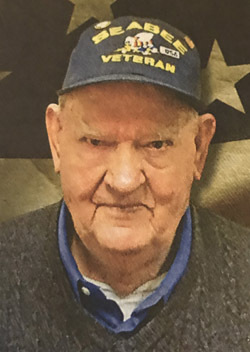 He joined the U.S. Navy after graduating from high school, and had served as a Seabee during WWII, based in Greenland. On September 1, 1951, he married his best friend, Sophie “Sue” Hornick, at St. Louis Church in Abrams. The couple lived in Green Bay, and moved to Brookfield in 1960. After 61 years of marriage, Sue preceded him in death on February 18, 2013. Ed was hardworking and resourceful, a man who cared deeply for his family. Most recently he enjoyed a variety of outings and activities. He was always ready for a new adventure. He was the amazing and cherished father of Lisa Libecki and Monica (Jason) Koenigs; the adored and proud grandpa of Katrina Sue and Benjamin, and is further survived by one sister, Evelyn Christiansen; sisters-in-law: Phyllis Hornick and Patti Hornick; numerous other relatives and friends. In addition to his wife and his parents, Ed was preceded in death by many brothers-in-law and sisters-in-law. The Funeral Mass was celebrated at 11:00 a.m. Saturday, November 3rd at Assumption B.V.M. Church in Pulaski, Fr. Patrick Gawrylewski, O.F.M. presiding, followed by military honors by the Pulaski area veterans. Burial took place in St. Patrick Cemetery, Stiles.